Book an appointment to visit our showroom where you can explore 2,500 square feet filled with inspiring displays showcasing our range of over 5,000 products! We guarantee it will be worth the journey as there are many benefits to visiting our showroom! Our friendly and knowledgeable team will be on hand during your visit to answer any questions you may have. They will also be able to advise you on which are our best selling and most popular lines. 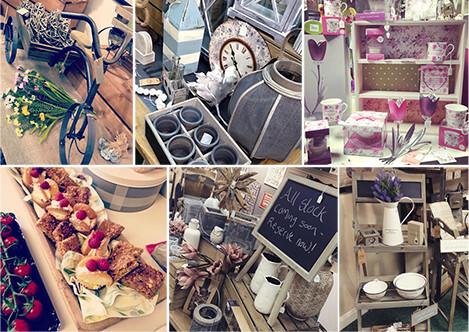 You can browse our full product range with the support of our buying and visual merchandising teams who will help you to build your collections and visualise your displays. You will discover exclusive products, including furniture, which aren’t available online. You will be one of the first to view our newest collections as soon as they arrive into stock. You can see the size, quality and texture of our full product range. There may be the possibility of taking goods away the same day. Simply call us the day of your appointment and we can update you on this! You can benefit from all of the above whilst enjoying a lovely cup of tea or coffee too! Tempted? Simply click here to request an appointment or call us on 01427 617113.